Yet another product introduced by Boontoon, which will make you stunned. This geometric décor can be the perfect choice for your housewarming ceremony. 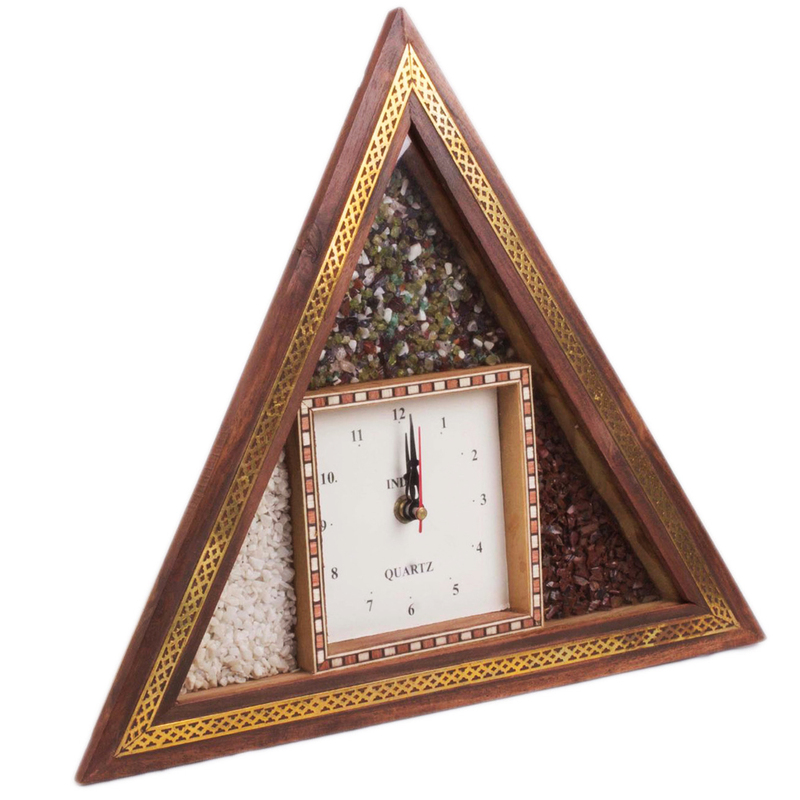 The square Read More..dial in an isosceles triangle is what reminds you the school days mathematics! The white background of the dial perfectly goes in comb with rich chestnut hued wooden frame. The natural color of the frame gives you warmth & comfort & looks very elegant when fixed on the wall. 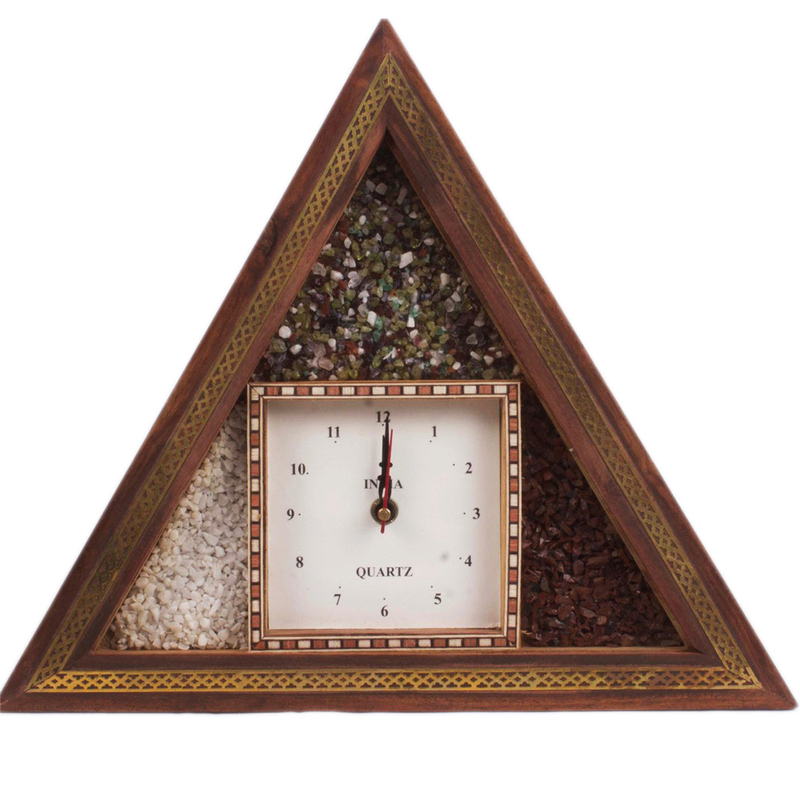 Even the stone work around the borders of the square dial adds another level of opulence to this product. Your time will run silently without any annoying tic-toc sound. Perfect for a sweet home, isn’t it? Show Less..